The Education Scholarship is a key part of our Education Programme to increase participation in third level education in the areas where we work. It was established in 2002 to help young people from our target areas to access third level education abroad or outside the greater Dublin area. We want students to be able to study the best course to fulfil their career ambitions. For many young people in the areas where we work, we know that the higher costs of studying away from home can sometimes make this impossible. The Education Trust provides financial scholarships together with support and advice from the Partnership’s Education and Career Guidance Counsellor. 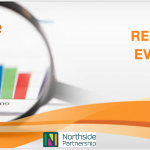 The Education Trust is funded by local businesses, charitable organisations and individual donors who make an annual donation, as well as funds raised from Northside Partnership’s annual Golf Classic. If you have been successful you will only receive funding after we have received all your supporting documents. Your scholarship funding can be used for rent, college fees, travel, books/materials/equipment, rent or childcare from a registered childcare service. You will not receive any cash payments; you will be refunded money when you send us in your receipts or when we are invoiced by the college or a landlord. Who funds the Education Trust? We would like to thank these funders, and the many other companies who take part in our Annual Golf Classic, for their contributions which are making a real difference to the lives of young people.